Make your own herb seasoning mix to store in your pantry. You can sprinkle this on any meat before cooking or add to sauces and gravies. It's a good salt substitute to put on the table or to use in recipes. It's a good substitute for mixed Italian seasoning herbs, or for any seasoning mix that a recipe calls for. This recipe is savory and slightly sweet, with a nice smoky flavor. It is not spicy but has real depth. You can add a teaspoon of salt to this mix if you aren't worried about the sodium content of your recipes. Whenever you make your own mixes, make sure you use the freshest ingredients possible. To tell if dried herbs and spices are fresh, smell them. If the smell isn't very strong, throw the bottle away and buy a new one. In fact, it's a good idea to do this with all of the herbs and spices stored in your kitchen once a year. 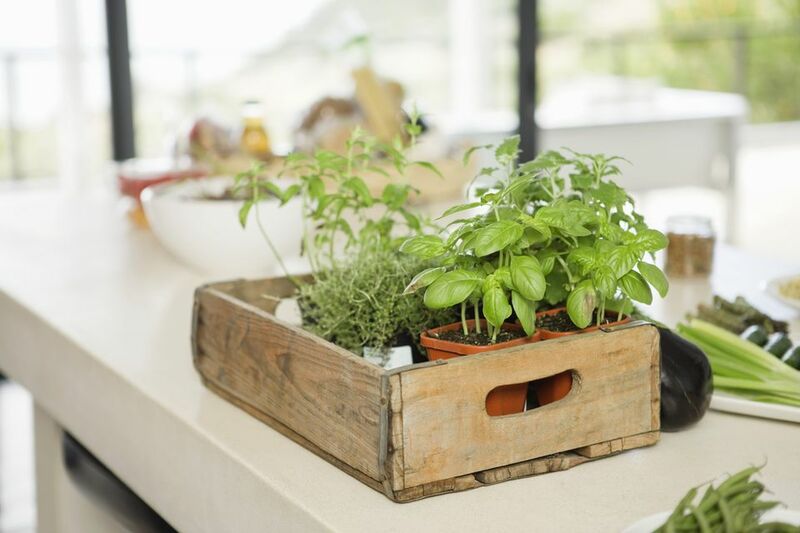 Most herbs and spices keep their freshness 6 months to a year, but only if stored in a cool, dry place. You can make this recipe with your own favorite herbs. If you like things spicy and hot, add some cayenne pepper, crushed red pepper flakes, or ground chipotle peppers. You could also use oregano or dill weed in place of one of the other herbs, or dried sage. Or try something exotic like chervil, but only if you and your family like it. Look at my recipes for other seasoning mixes for more ideas. In a small bowl, combine onion powder, garlic powder, dried parsley flakes, dried basil leaves, dried thyme leaves, dried marjoram leaves, and white pepper. Decant the mixture into a glass jar with a screw top lid and seal tightly. Label with the date it was made and the name of the recipe, and store in cool dry place up to 6 months. Whenever you make this mix or any homemade mix, always label it with the date you made it, and with the name of the recipe. There's no point making lots of your own spice mixes if they aren't labeled and you can't tell what you have in the pantry or how long ago they were made!